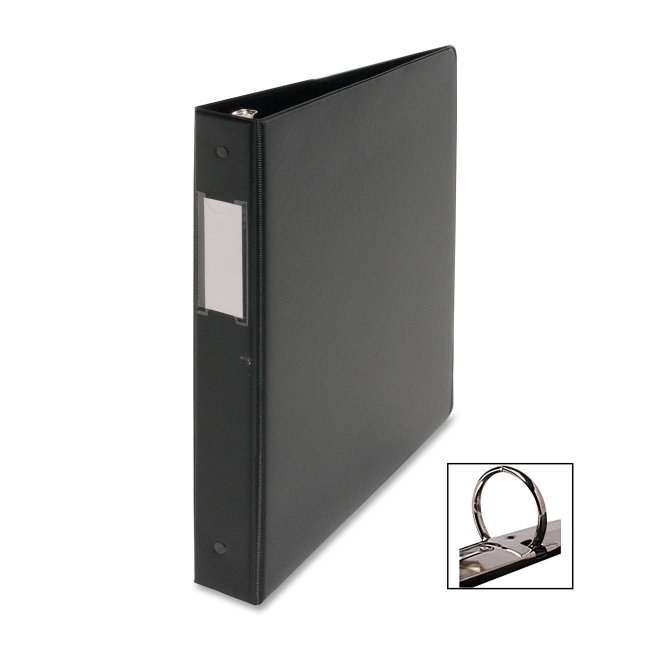 Round-ring binder with label holder offers a suede-like finish vinyl sealed over stiff board. Two triggers on the ring mechanism provide easy access to your documents. Pockets inside front and back covers offer extra storage. Metal three-ring has double opening/closing boosters. Binder is made with 35 percent post-consumer material.